Thornton Heights Commons, combining Class A retail space and housing, is slated for fall occupancy. 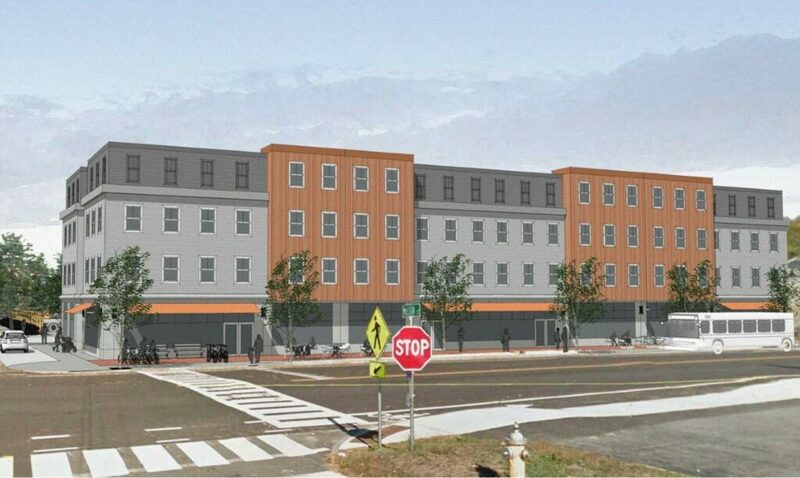 A rendering shows Thornton Heights Commons on Main Street in South Portland. The first floor will be devoted to Class A retail space; upper levels, to housing. SOUTH PORTLAND – It’s called Main Street for good reason. And here in the heart of the city’s Thornton Heights neighborhood, Main Street will soon become even more dynamic. A new, four-story retail-and-housing complex named Thornton Heights Commons will be built at 611 Main, on the block between Thirlmere and Aspen avenues. As much as 7,000 square feet of ground-level, storefront Class A retail/restaurant space, with signage, will present an attractive facade to the bustling thoroughfare. 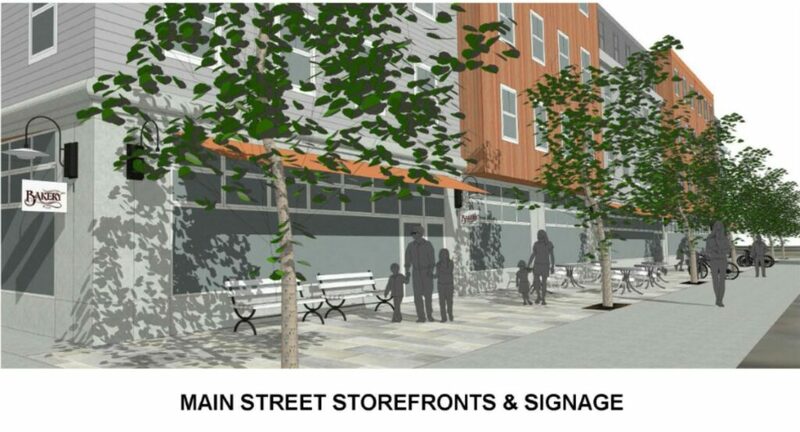 A closer look at the first-floor retail space to be built at 611 Main St., South Portland. Now in the design phase, the space can be leased, or subdivided to host as many as three businesses. Occupancy is planned for late fall 2020. This high-visibility site enjoys a healthy daily traffic count of 14,144 vehicles, but the pace is relatively slow. The property also features 42 residential apartments; proximity to two schools, and is located in the walkable Thornton Heights neighborhood. Longtime local businesses include Town & Country FCU, Deb’s Sandwich Shop and Embers Stoves & Fireplaces. Acorn Productions, a theater troupe dedicated to both education and performing, recently moved into new quarters one block away. The property is owned by the South Portland Housing Development Corporation. Listing broker Brandon Mitchell of Malone Commercial Brokers emphasizes that the goal is to bring in a mix of small businesses well-suited to serve the neighborhood – coffee shop, gift shop, market, etc. On-site parking is provided – 27 designated retail spaces behind the wood-frame building on a 1.81-acre lot. Particulars include central HVAC; natural gas; and municipal water/sewer. The lease rate is $20 per SF triple-net. The location provides easy access to downtown Portland, the Maine Mall area, I-295 and the Maine Turnpike. For more information on 611 Main St., South Portland, please contact Brandon Mitchell, Associate Broker at Malone Commercial Brokers (www.malonecb.com) at 207-358-7057; 207-415-7982; or at [email protected].